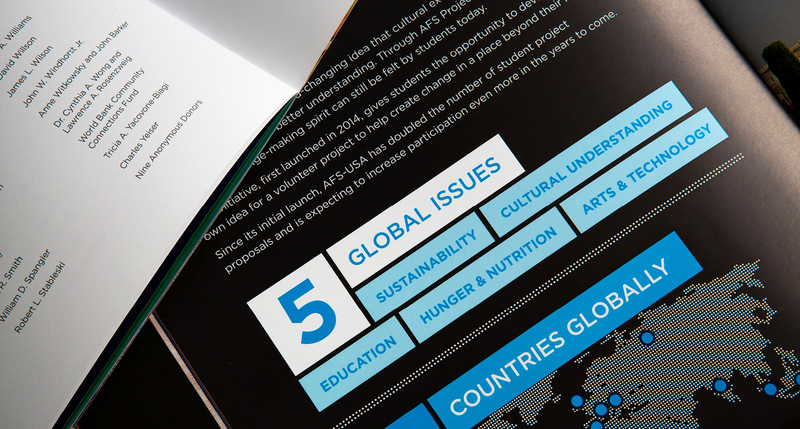 Facilitating global connection and learnings through cross-cultural exchange programs, AFS is an international non-profit whose mission is to create a more just and peaceful world. 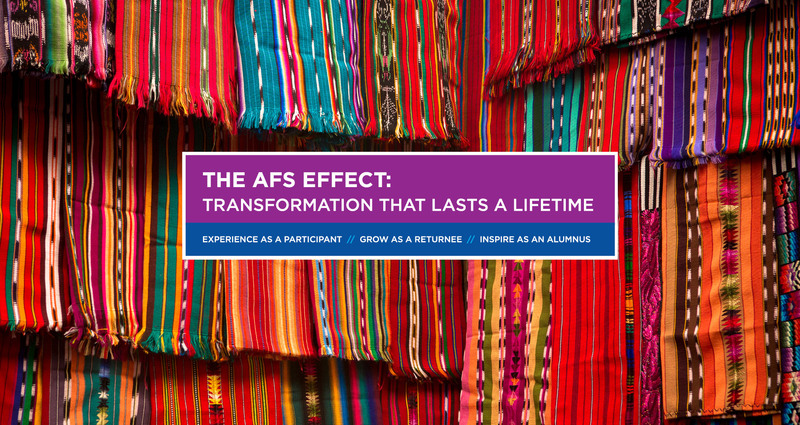 Looking to engage their audiences in compelling new ways, AFS-USA turned to Prager Creative to enhance connection with their alumni, donor, and volunteer network. 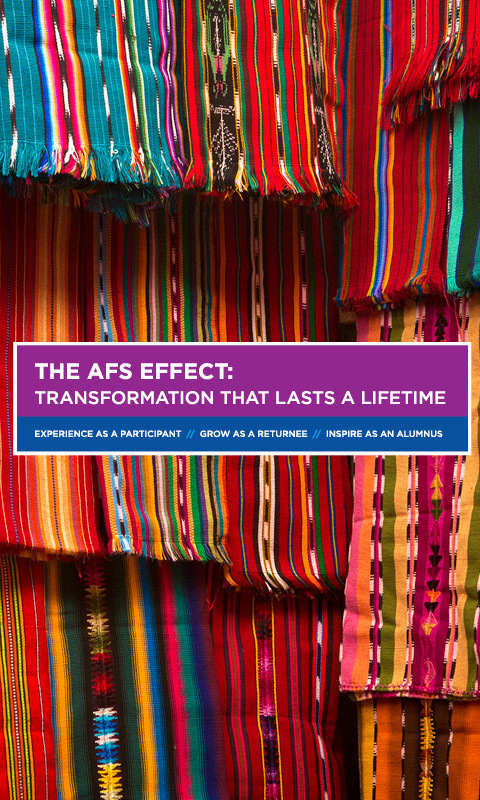 Leveraging the excitement and joy of the AFS experience, we evolved the AFS-USA brand to better reflect the fond memories and emotions shared by its supporter community. 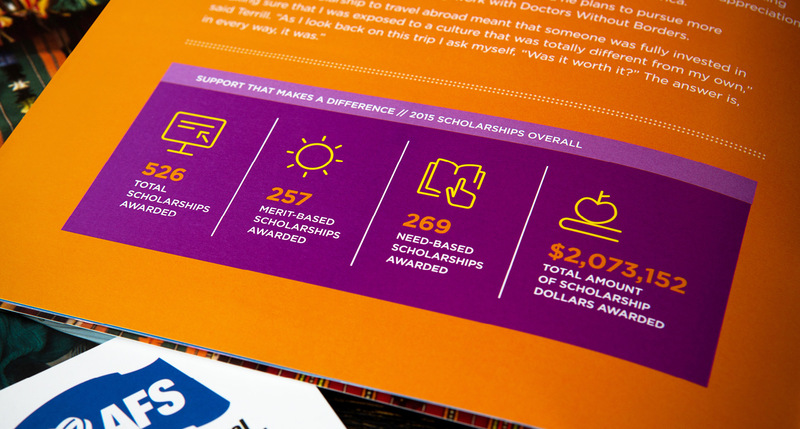 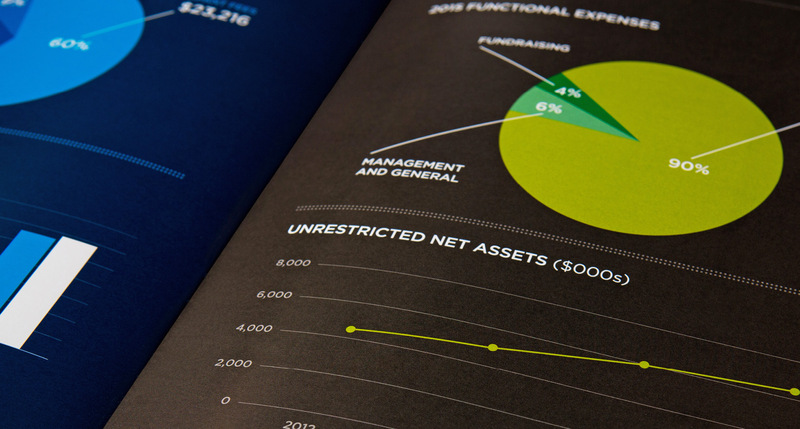 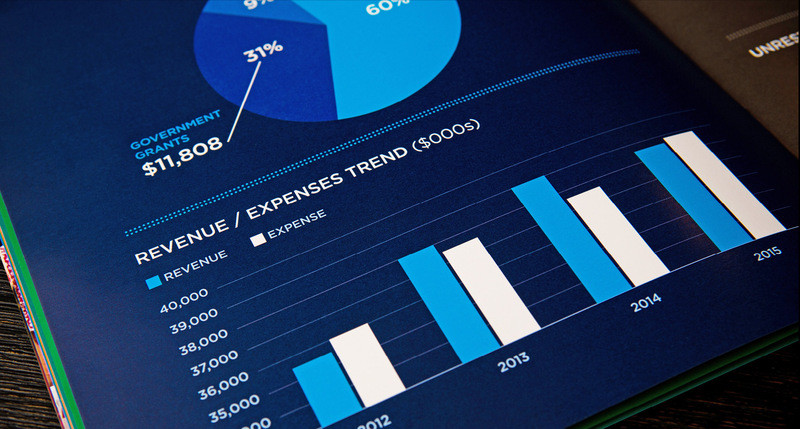 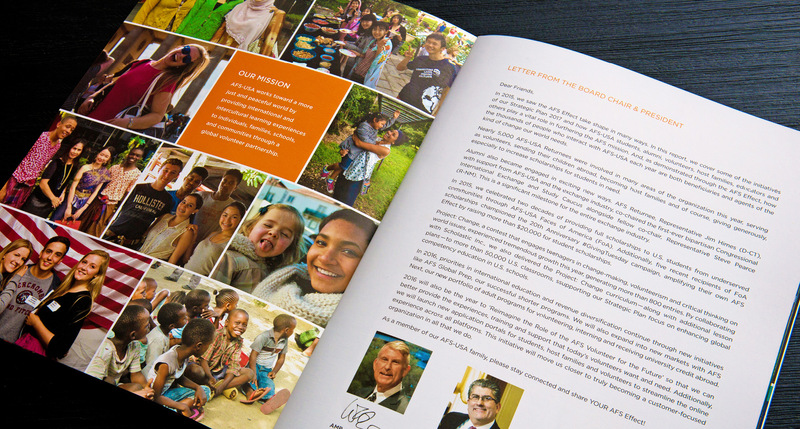 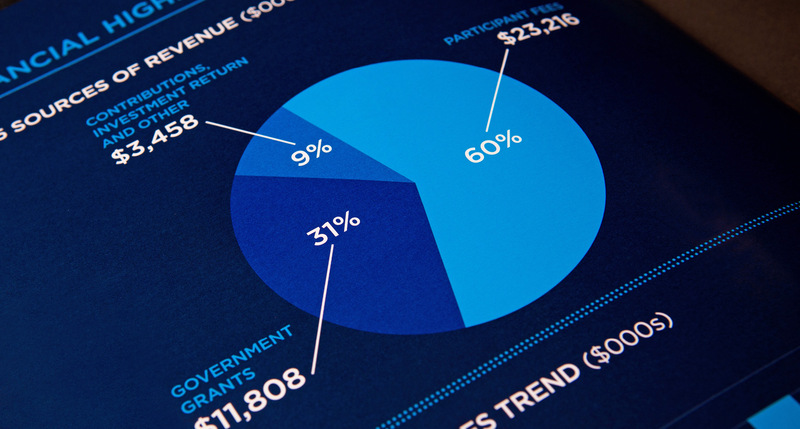 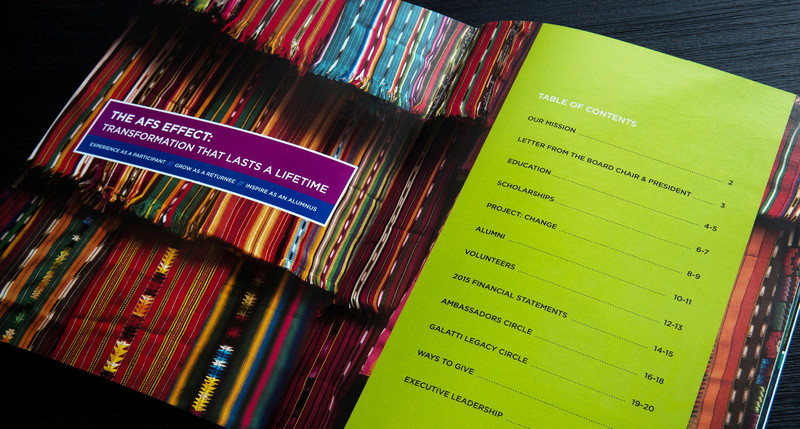 From design through to delivery, we overhauled the brand’s approach and implemented fresh takes on annual reports, direct mailers, and alumni directories. 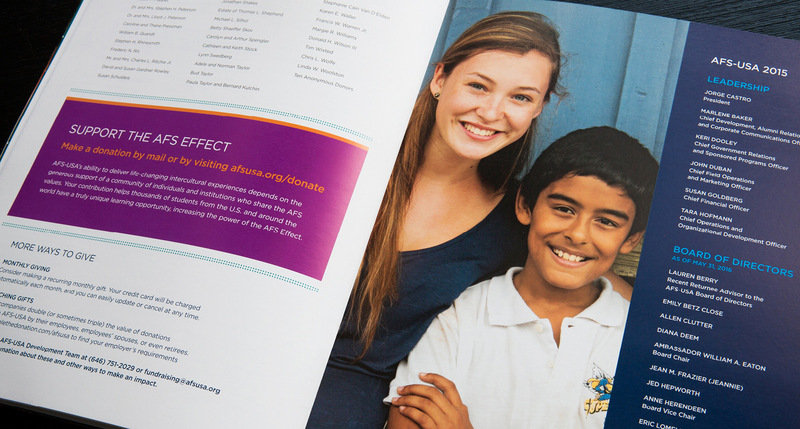 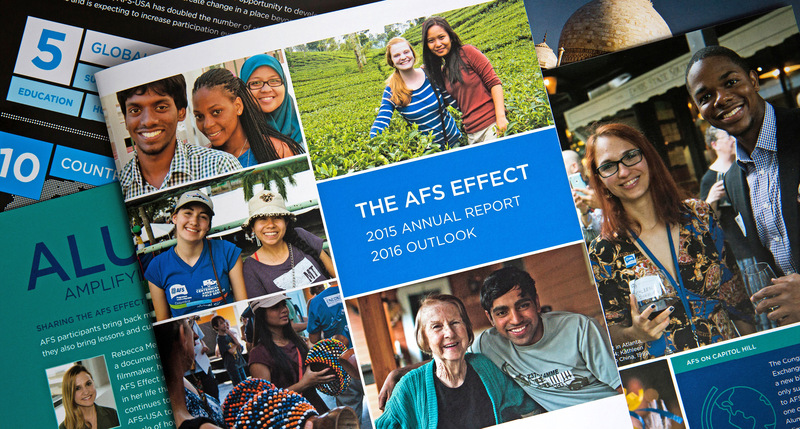 These enhancements not only fostered longer-term engagement with AFS-USA network, it has also led to an increase in donations, enabling the organization to move even closer to achieving their mission.